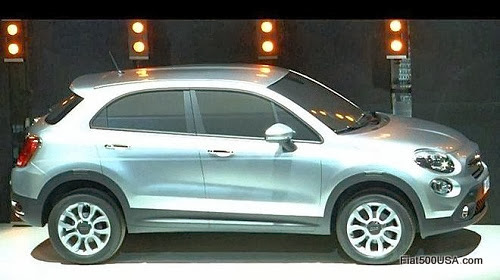 Undisguised images of the new Fiat 500X crossover were tucked inside Fiat's Five Year Business Plan presentation. 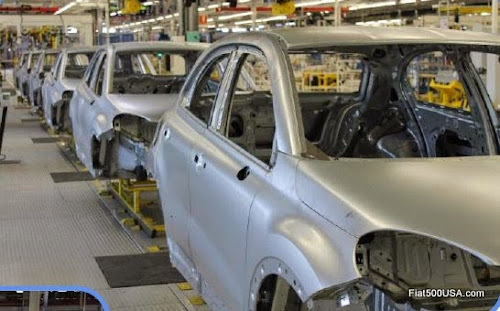 The images show Fiat 500X bodies on the assembly line at Fiat's Melfi factory waiting to be assembled alongside new Jeep Renegades. The Fiat 500X crossover is much larger than the Fiat 500 (approximately 165 inches compared to 139 inches) and uses the chassis of the 5 door Fiat 500L MPV and Jeep Renegade. The all-wheel-drive capable chassis is a widened version of the current one used in Fiat Punto and Alfa Romeo MiTo models. The new Fiat 500X will be available in two-wheel and all-wheel-drive variants. Production of the Fiat 500X is rumored to begin during the third quarter of this year with its debut at the Paris Auto Show in October. European deliveries will follow during the fourth quarter. For the North America market, look for the 500X to debut at the LA Auto Show in November and sales beginning in the first quarter of 2015. Factory insiders are excited about the sporty Fiat 500X and a frequent comment is "wait until you see it." Maybe we will get lucky and see a sneak peak on July 4th, so keep an eye peeled! 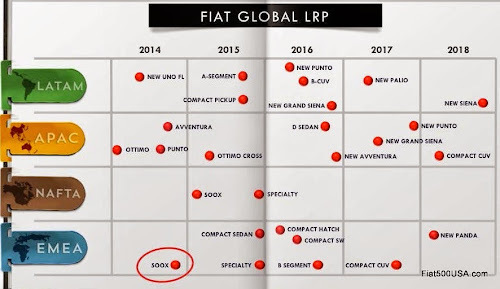 Slide from the Fiat Five Year Business Plan shows timeline of new model introductions. The Fiat 500x will arrive in European showrooms at the end of this year, with North American sales to begin early next year. The Specialty car listed is rumored to be a Fiat roadster, built in conjunction with Mazda. 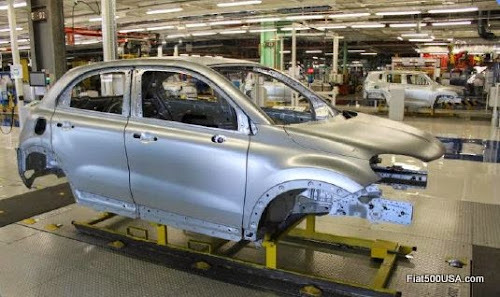 Discuss on the New Fiat 500X Forum!